We are proud to announce that safety4aircraft has teamed up with Arquimea Airport Services in order to provide our innovative robotic falconry service, available for airports worldwide, which is indeed a great technological breakthrough in Avian Control. This new service has already successfully protected airports in Cuba and Peru. Since our service has been going on, no incidents have been registered due to bird striking whatsoever. 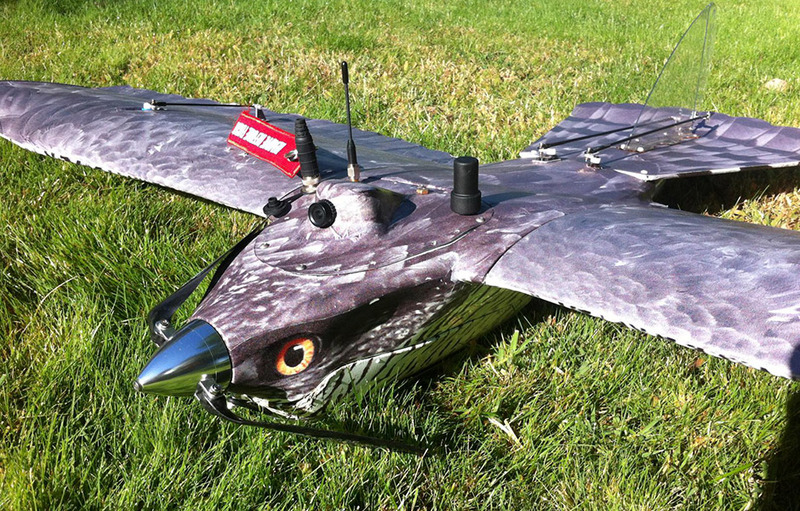 Our falcon-shaped UAV provides positive control over all species of birds on and surrounding the airport. Our technology has been developed by Ornithologists & Engineers, then field tested by Airport Operators, and endorsed by IATA, ICAO and COPAC. Traditional methods: proven non-effective, high cost, short lifespan, high maintenance, seasonal/weather restrictive, time consuming, disruptive to air traffic, not wildlife/eco-friendly. Our solution enhances de positive: absolute flight control, increase autonomy, piloted or automated flight; and eliminate the negative: not affected by illness, indefinite lifespan, independent of human factors, no care or feeding. Summarizing: our solution is safer, cheaper: less accidents, lower insurance rates, etc, and, of course: animal friendly. Speed: 55-77 Km/h (30-42 knots) Range: 10 km max.